This is Percy’s favourite cushion. There are several other cushions, but Percy’s white hairs whisper to him and tell him this is the one to sit on; all the other cushions are white, or pale coloured. 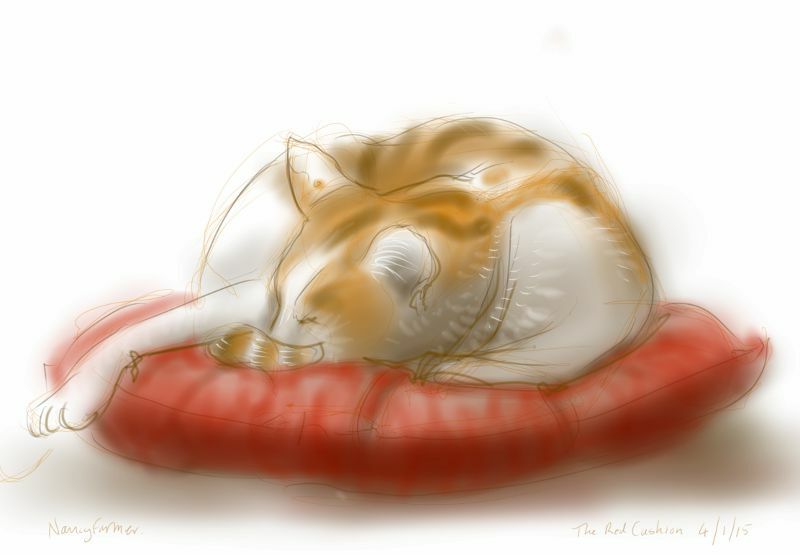 This entry was posted in Cats and tagged art, cat, cat drawing, cat sleeping, cat-of-the-day, digital sketch, drawing, ginger and white, illustration, Percy Cat on January 4, 2015 by Nancy Farmer.